Twenty seven year-old saxophonist-composer Adam Larson, endorsed artist for P. Mauriat saxophones, D’Addario Woodwinds and Lebayle mouthpieces, began playing saxophone at the age of 11. As a high school student, Larson was a member of virtually every national program dedicated to showcasing excellence in young jazz talent including The Grammy Band, Next Generation Jazz Orchestra, Betty Carter Jazz Ahead, YoungArts Jazz Fellows, Telluride Student All-Stars, Jazz Band of America and many others. Described by critic Howard Reich of The Chicago-Tribune as “a player for whom the word ‘prodigious’ was coined”, by Peter Hum of the Ottawa Citizen as “a saxophonist who brings Donny McCaslin and Mark Turner to mind”, and by Nate Chinen of The New York Times as “a self-assured young saxophonist”, Larson has garnered numerous awards that distinguish him as one of the most promising artists of his generation. With four records under his name, Larson’s latest, entitled “Second City”, will be released on the Inner Circle Music Label, in the Fall of 2017. Larson’s 2015 debut for Inner Circle, “Seclective Amnesia” was featured in the New York Times, Downbeat, Saxophone Journal and several other publications in print and online. Larson keeps an active schedule with his groups and as a sideman, having performed at several venues across the U.S. including Birdland, The 55 Bar, The Jazz Gallery, The Blue Note, The Village Vanguard, Smalls, Cornelia St. Café, The Kitano, Dizzy’s Club-Coca Cola, Jazz at The Bistro, The Jazz Showcase, and several others. As a sideman, Adam has performed with numerous groups including Jamie Cullum, Ted Rosenthal, The Ari Hoenig Nonet, The Vanguard Jazz Orchestra, Otis Brown III Band, Michael Rodriguez Quintet and the Helen Sung Quartet. Larson’s sound can be heard on numerous recordings from bandleaders such as Nils Weinhold, Bastian Weinhold, Marcus Lewis, Joo Chan Im, Victor Bastidas, and others. Adam has been a part of several tours that have allowed him to see more of the world than he once thought possible. Larson’s quartet was selected as one of ten ensembles to tour on behalf of the U.S. State Department’s “American Music Abroad” program and toured Africa for 35 days in April 2015, visiting The Democratic Republic of Congo, Senegal, Benin and Ghana. Larson has also toured India, Taiwan, Holland, and Germany as well much of the United States. In October of 2017, Larson will travel to Poland to be the a guest artist, performing at the Sopot Jazz Festival. Beyond maintaining an active touring and recording schedule, Larson continues to be a sought after clinician and master class presenter at several high schools and Universities across the Midwest and beyond. Appearances include Temple University, Yale, Manhattan School of Music, University of North Texas, Elmhurst College, Roosevelt College, University of Illinois, Univesity of Colorado-Greeley, Northern Illinois University, University of Wisconsin Eau-Claire, Illinois State University, Illinois Wesleyan University, Illinois Central College and Hutchinson Community College, among many others. Adam maintains an impressive portfolio of commissioned ensemble writing for school jazz ensembles, having written thirty original works to date. 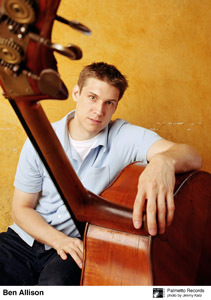 Larson is currently a Teaching Artist for Jazz at Lincoln Center’s Jazz For Young People, The New York Pops Ed education programs, and has a diverse private lesson studio of Skype students from the U.S. and abroad. Larson has also taught as a substitute at The Manhattan School of Music and New York University. Upsilon Phi and Truman State University are very pleased to welcome Adam Larson and his quartet as the Guest Artist for Jazz Fest 50! 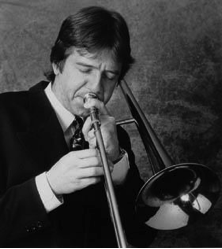 New York jazz trombonist Conrad Herwig has recorded 19 albums as a leader. His newest CD release is The Latin Side of Wayne Shorter on Half Note Records, which was nominated for a Grammy Award in 2009. This is the follow-up project to the 2005 Grammy-nominated CD, Another Kind of Blue: The Latin Side of Miles Davis, and the 1998 Grammy-nominated CD, The Latin Side of John Coltrane. These exciting projects were recorded live at the Blue Note Jazz Club in New York City and feature special guests Eddie Palmieri, Paquito D’Rivera, Dave Valentin and Brian Lynch. His most recent solo recordings on the CrissCross label are A Jones for Bones Tones, Obligation, Land of Shadow, Hieroglyphica, Unseen Universe, Osteology, and Heart of Darkness which received 4 and 1/2 stars in DownBeat Magazine. He has also been voted #1 Jazz Trombonist (TDWR) in the 2002 DownBeat Jazz Critic’s Poll. In constant demand as a sideman, Herwig has been a featured member in the Joe Henderson Sextet, Horace Silver Octet, Tom Harrell’s Septet and Big Band, and the Joe Lovano Nonet (featured as a soloist on Lovano’s Grammy Award winning 52nd St Themes). Conrad also performs and records with Eddie Palmieri’s “La Perfecta II” and Afro-Caribbean Jazz Octet, Paquito D’Rivera’s Havana-New York Connection, the Mingus Big Band (often serving as musical director, and arranger on the 2007 Grammy-nominated Live at the Tokyo Blue Note). In other big band settings Conrad has also performed with Clark Terry, Buddy Rich, Frank Sinatra, Miles Davis & Quincy Jones, the Gil Evans Orchestra, Tito Puente, and Mario Bauza, having recorded on over 200 albums in his 30+ year career. Mr. Herwig is an alumnus of North Texas State University in Denton, Texas (where he performed in the One O’Clock Jazz Lab Band), Goddard College in Plainfield, VT, (Bachelor of Arts in Afro-Caribbean ethnomusicology), and Queens College,CUNY, (Master of Arts, Jazz Studies). Herwig has conducted masterclasses, seminars, and workshops at major universities and conservatories around the world including the Sibelius Academy, Finland; the Royal Irish Academy, Dublin; the University of Koln, Germany; Eastman School of Music, Rochester, NY; the University of Southern California and literally hundreds of others. Herwig is a recipient of performance and teaching grants from the National Endowment for the Arts. He is currently Professor of Jazz Trombone, Jazz Improvisation, and Jazz Comp/Arr at Rutgers, The State University of New Jersey. Conrad was elected to the Board of Advisors of the International Trombone Association for a second time in 2006. Thank you for submitting your entry. A confirmation email has been sent to the provided email address with registration details. If you don’t receive confirmation within a couple minutes please check your spam folder. New for 2017: Due to an ongoing total renovation on Baldwin Hall, Jazz Fest 49 will take place in the Student Union Building. A detailed map will be included in the packet sent in February. Because of the nature of the building and the amount of travel between floors, Drum Sets (no cymbals) will be provided in warm-up, performance, and clinic rooms. You may elect to bring your own drum set if you so desire. You will be responsible for providing cymbals. Personnel: All participants in each ensemble must meet eligibility requirements as set forth by the National Federation of High School Activities Association. An accurate list of all personnel must be provided upon arrival at the festival (3 copies). Band directors are not permitted to perform with their group(s). Awards: Outstanding Soloist awards will be handed out — please make sure to fill out the provided soloist information sheet. Each band must supply any additional equipment e.g. cymbals, amps, bass, guitars, auxiliary percussion, etc… If you have special equipment needs, please contact Tim AuBuchon at (660) 785-4412. He will take each situation into account and try to accommodate the specific needs of each band. Truman State University and the Phi Mu Alpha Jazz Festival cannot take responsibility for the loss of personal belongings, equipment etc. Each school will be assigned a monitored storage space (size determined by band size and number of bands) located on the bottom (first) floor or third floor of the Student Union Building, but individuals and band directors must take precautions to keep their equipment secure. Each school should vacate their storage space after their last group’s clinic, to curb the possibility of theft. NO drinking or eating will be allowed in the storage rooms. Please make your students aware of these requests, especially the ban on playing outside of warmup rooms. Entrance Fees/Ticket Information: The entrance fee for each school is $175 for each ensemble and $175 for each combo. Please include the appropriate fee with your application. The registration deadline is February 1, 2017. We have had problems with faxes in the past, so though we will accept faxed entry forms, we need you to either call or email to make sure that we did receive your application. Please return your application as soon as possible – performance spots will be filled on a first-come, first-served basis. Faxed applications should be followed by phone call or email for confirmation. RECEIPT OF ALL APPLICATIONS WILL BE CONFIRMED BY PHI MU ALPHA VIA EMAIL. Daytime clinics featuring guest artist Donny McCaslin. A clinic/master class will take place from 4pm to 5pm and is open to all Truman State students. An all-day high school and middle school competition including performances, clinics for each band and a free master class by Donny McCaslin for all festival goers. It will also feature performances by TSU jazz combos, an awards ceremony, and an evening concert. Admission into the daytime competition concerts is $2, but free to band members, band directors and bus drivers from participating schools. 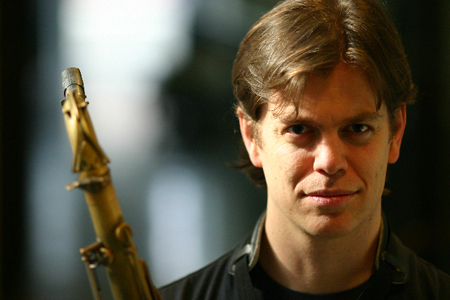 The master class with Donny McCaslin will be at 11:30am in Baldwin Auditorium. The festival awards ceremony will take place at 5;15pm. The evening concert feature Donny McCaslin with the TSU Jazz Ensemble will be at 8pm. Admission is $8 (free for those with a valid Truman State University ID). 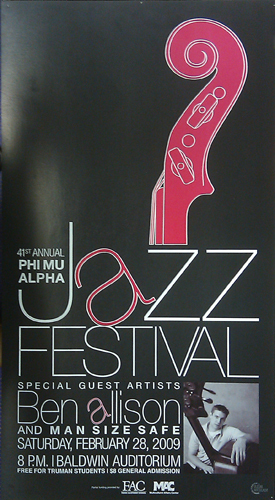 Below are the final, posted results for 2009 Phi Mu Alpha Jazz Festival. Ben Allison is a “visionary composer, adventurous improviser, and strong organizational force on the New York City jazz scene, [and] has emerged as a rising star over the past decade” (JazzTimes). Called “one of today’s best young jazz musicians” by the Boston Globe, Ben has released eight albums of original music all of which showcase Ben’s forward-thinking vision as a producer, composer, arranger, and bassist, and his hands-on approach to his craft. Cited in the “Best Bassist” category of the 2007, 2006 and 2005 Downbeat Readers’ Poll, Ben’s work has not gone unnoticed by the press. Since 2003 Ben has been routinely listed in the Downbeat Critics Poll in an extremely wide variety of categories including “Bassist,” “Composer,” “Rising Star Bassist,” (ranking #1 in 2005, 2006 and 2007), “Rising Star Album,” “Rising Star Acoustic Group,” “Rising Star Arranger,” and “Rising Star Jazz Artist,” all of which is a testament to his dedication as a musician.